On a remote island in the South Pacific dwell monsters. The locals tell you that no person is safe on the island unless they have the ability to mimic the monsters’ expressions. Finding this to be fairly odd, you charter a boat and make your way to the island. Once on shore, you encounter your first monster and quickly realize the benefits of mimicking something that is 10 times as tall as you. Quickpick: Island of Monster Masks, designed by Martino Chiacchiera, Benedetto Degli Innocenti, and published by Ares Games, is comprised of 48 Secret Mask cards and 16 Monster tiles. The tiles are large, about the size of a drink coaster, and made of thick cardboard. The cards are as thick and as durable as your standard playing card. Artist Xīn Mào created 16 colorful monster masks that range from silly to really silly, with exaggerated facial expressions. To set up the game, first take the 16 Monster tiles and arrange them in the middle of the playing area, face-up. All players should be able to reach any Monster tile from their seated or standing position. It‘s sometimes best to play this game on the floor. Second, shuffle the Secret Mask cards and deal 6 cards per player to a new pile of cards, face-down. This new pile of cards will be the draw deck for the duration of the game. Place the remaining cards not in the draw deck to the game box. For example, in a game with 5 players, you would deal 30 cards (6 cards per player), placing 18 Secret Mask cards back in the game box. Feel free to shuffle the draw deck one more time if you like and place it to one side of the game playing area, face-down. Quickpick: Island of Monster Masks is played in turns with the number of turns per game based on the number of cards in the draw deck. A game turn is summarized here. Each player takes turns as the “Mime”. This role requires the player to draw 1 Secret Mask card from the draw deck (making certain not to show it to any other player) and then mime the facial expression depicted on it. The Mime cannot use words or sounds, but they can use gestures. Faces range from the silly to the intimidating in a silly way. How the Mime interprets the Secret Mask card is up to them, but the goal is to have at least 1 player other than the Mime guess the expression correctly. All the other players are simultaneously attempting to guess the expression being acted out by the Mime. The goal for the other players is the be the first to place their hand on the matching Monster tile. More times than not, this will result in a contest of speed and dexterity as the expressions are fairly simple to guess. What will take the players the longest amount of time is finding the matching Monster tile among the 16 scattered about in front of them. Once they find the matching Monster tile (or think hey find the matching Monster tile), they place their hand on it. Once the hand is placed on a tile, it cannot be removed. The selection of a Monster tile is usually pretty fast, resulting in a hand being slapped on the tile rather than softly placed. In the event that two or more players attempt to select the same tile, only the first player to place their hand gets to keep it. Everyone else has to select a new tile. After all the players have selected a Monster tile, the Mime reveals their Secret Mask card. The card will match 1 tile. Points are then awarded. If a Player Guessed Right: The player who guessed correctly draw 1 Secret Mask card, looks at it, and places it face-down in front of them. The Mime keeps their Secret Mast card and places it face-down in front of them. Both the Mime and the player who guessed correctly are awarded 1 point each. If All the Players Guessed Wrong: If no one guessed correctly, the Mime draws 1 Secret Mask card (without looking at its face) and then removes both it and their Secret Mask card from the game. No points are awarded to any player. The turn is now over and a new turn now begins. The next player in turn order sequence is the new Mime and begins using step 1 noted above. 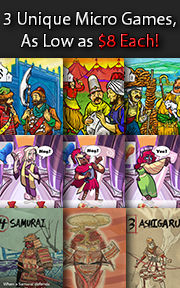 The game continues as described above until the draw deck is depleted. Each player then counts the number of Secret Mask cards they have collected, where each card is worth 1 point. The player with the most points (i.e. cards) is the winner. Players share the victory if there is a tie. If players cannot or do not want to attempt to mime the expressions on the Secret Mask cards in total silence, they are welcome to use sounds. Grunts, growls, and evil laughs are all appropriate. The only thing they cannot do is point to the Monster tile or speak words that would suggest the Monster tile color or type. 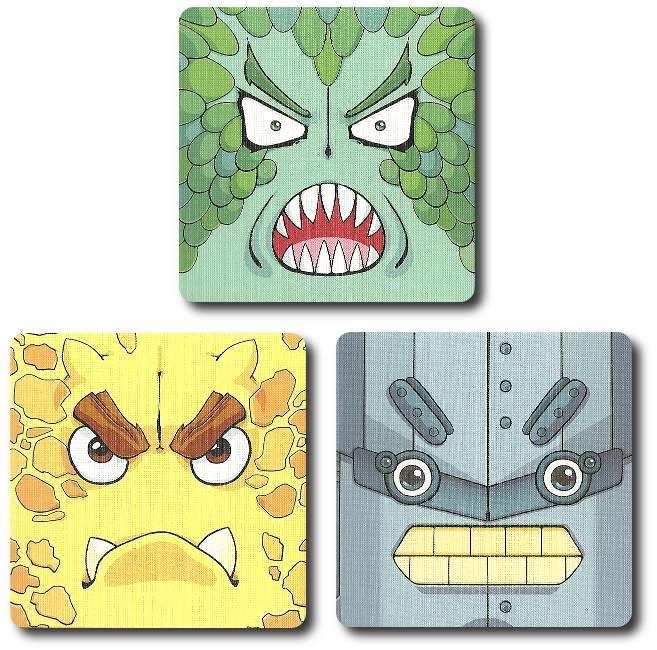 This game variant is pretty entertaining, as each Monster tile has a unique expression and accompanying sounds that would match it. 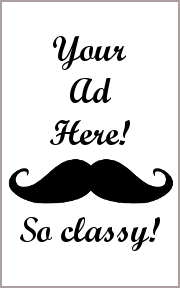 To learn more about Quickpick: Island of Monster Masks, visit the game’s web page. The Child Geeks had a great time with Quickpick: Island of Monster Masks, finding it to be fast, funny, and even a bit frustrating at times. According to one Child Geek, “It can be pretty easy to guess the expression, but really hard to find it and then slap it first.” One of the other aspects of the game that frustrated the players was that it was sometimes obvious which Monster tile was the right one to select. Once it was selected by a player, the opponents just had to sit back and grumble. However, turns are very quick in this game so no player was ever left sulking in the corner very long. As one Child Geek put it, “Even if you don’t get a card, you have another chance to get a card almost right away. It’s a fast game!” Young Child Geeks had no problem playing this game once they understood the rules (which didn’t take long, either), allowing a wide age range to compete, but not as equals. The older Child Geeks had an advantage from the very start. When all the masks were worn and returned to the shelf, the Child Geeks voted to approve Quickpick: Island of Monster Masks. Every turn started in complete silence and ended with a flurry of furious slaps! The Parent Geeks found the game to be a great deal of fun for the family and with their peers. According to one Parent Geek, “It’s fun to play with kids and see their silly faces, but even more entertaining to see an adult do a monster face.” While the Parent Geeks all agreed that Quickpick: Island of Monster Masks was a great game for their children and their families, they found it to be a surprisingly entertaining game for adults at parties. As one one Parent Geek put it, “If you ask a group of adults to play Charades, you’ll get a lot of push back. If you ask them to sit at the table, drink some wine, and make silly faces, they race to find their place to play. It’s crazy.” The only word of caution I can give Parent Geeks who enjoy a beverage during their games is to play Quickpick: Island of Monster Masks on a solid table. Since the cards are smacked, most glasses tend to tip. Such are the hazards of our hobby. 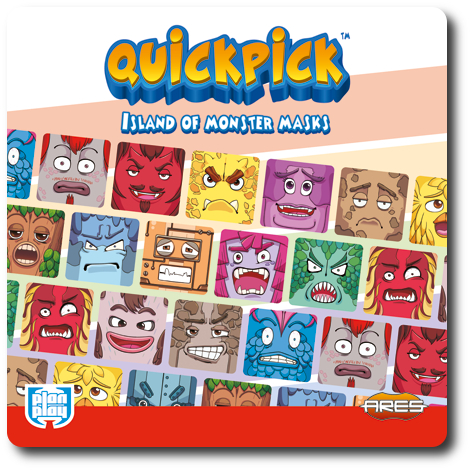 All the Parent Geeks voted to approve Quickpick: Island of Monster Masks. The Gamer Geeks appreciated and even respected what Quickpick: Island of Monster Masks was all about. They found the game play to be quick and the rules to be very tight. 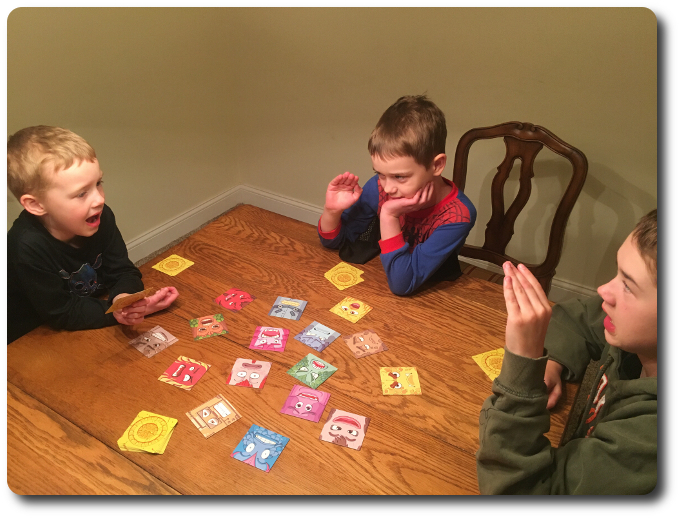 According to one Gamer Geek, “As far as rules and game play goes, this is a great example of a Party game that can be explained in less than a minute and enjoyed in less than 10.” However, the Gamer Geeks could not bring themselves to approve it. As one Gamer Geek put it, “I like the idea of the game – the idea – but when you take it from concept to the gaming table, if fell flat with me.” As it did with most Gamer Geeks. Among their own peer group, all the Gamer Geeks voted to reject Quickpick: Island of Monster Masks, but they were quick to mention that they would happily play it with their kids and families. Quickpick: Island of Monster Masks is a delight with children and a lot of fun with good adult friends. Better yet, Quickpick: Island of Monster Masks is twice as enjoyable with a good mix of adults and children playing the game at the same time. Quickpick: Island of Monster Masks is all about interpretation and creativity. Communication is firmly anchored in mimicking and then transferring that mimicry to a matching tile. All of that happens fairly quickly, resulting in a fast gaming experience that keeps you on your toes. I think Quickpick: Island of Monster Masks does everything right. It’s simple to learn, simple to play, and engaging from the first play to the very last. Players must lean forward, take note, and take action. This is not a game for the sleepy or dull witted, but nor does it discriminate. Child Geeks as young as 4-years-old can play this game and compete against an 84-year-old. The only two deciding factors that govern a player’s success are their ability to quickly interpret and their ability to quickly scan the table for the tile to smack. That’s it. Everything else is laughs, light-hearted grumbles, and dramatic fist shaking towards the heaven. If you enjoy games with children, with mixed aged groups, and perfect for parties and gatherings, then do give Quickpick: Island of Monster Masks a whirl. It takes making faces to a new level of enjoyment and table slapping to a new dimension of competition. I would be very surprised if you made a sour face if you played it. Tagged Child Geek Approved, Parent Geek Approved, Party Games. Bookmark the permalink.